The third generation of Mazda's best-selling mid-sized sedan is back. We find out if it still has what it takes to rival its competitors in this spicy segment. 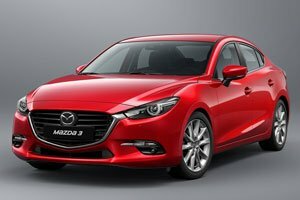 Authorised Distributor Mazda cars are Mazda 2 Hatchback, Mazda 2 Sedan, Mazda 6, Mazda 6 Wagon, Mazda CX-3, Mazda CX-5, Mazda CX-9, Mazda MX-5 RF. Parallel Imported Mazda cars are Mazda Axela Diesel, Mazda MX-5.